Watching 'Great British Bake off' last night they showed the Ukrainian tradition of a 'Korovai' being made. 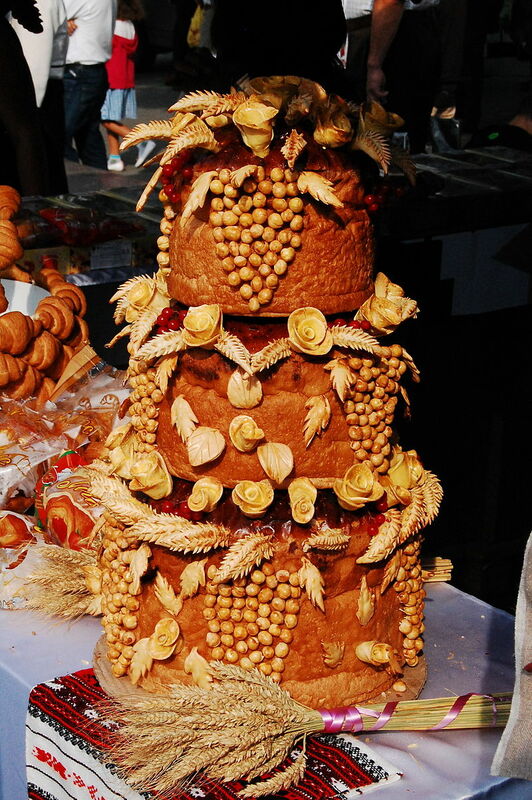 Essentially this is a wedding cake made out of bread and given to the bride & groom the day before the ceremony. Where we are seeing more & more non-traditional wedding cakes, I think this would make an excellent accompaniment to a cheese wedding cake. The bread was traditionally prepared in the home of the bride by women who sang traditional songs to guide them through the making These women were called the korovainytsi (pol. korowajnice), and were most often invited in odd numbers to do the job of making the bread, usually seven.